Man's First Best Friend Might Have Been A Fox In a dusty, ancient burial site in northern Jordan, archaeologists have made a startling discovery. It seems some 16,000 years ago, several millennia before any animals were domesticated, humans may have been making an early attempt to keep pets. Some 16,000 years ago, people may have been curling up next to the fire with red foxes. In a dusty, ancient burial site in northern Jordan, archaeologists have made a startling discovery: a fox buried alongside human remains. It seems some 16,000 years ago, several millennia before any animals were domesticated, humans may have been making an early attempt to keep pets. Red foxes, to be precise. It's a surprising find, Cambridge researcher Lisa Maher tells NPR's Linda Wertheimer. "When we were first excavating the site, we thought it might have been a dog," she says. 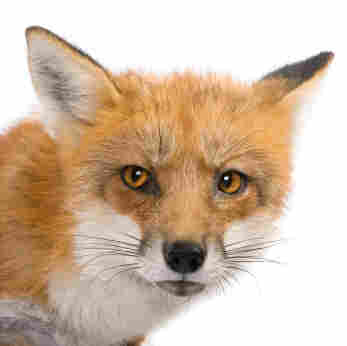 It wasn't until her team analyzed the animal's remains that it realized it was a fox. That the fox was a pet is only one of several possibilities, however. It may instead have had totemic or spiritual significance to the culture. But Maher's team compared the burial site to sites from 4,000 years later, when domesticated dogs did accompany human burials. The similarities suggest "that it probably was a more emotional relationship of one particular fox to one particular person," she says. Those similarities are also significant because they highlight a continuity in mortuary practices through time, Maher adds. "We're seeing these things, these similarities in mortuary practices and relationships to humans and animals in a much greater time depth than we had previously," she says. This skull was part of a red fox skeleton found buried with human remains at an ancient burial site in northern Jordan. If the fox were indeed a pet, it would be a pretty big deal. 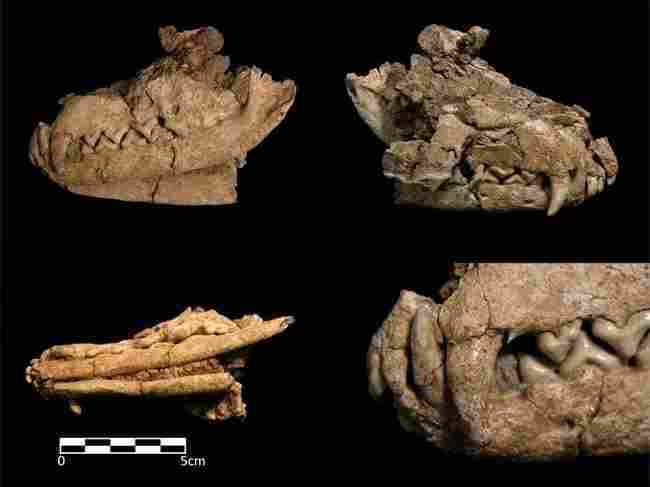 "It's certainly a big deal for prehistoric archeology," Maher says, "but it's also a big deal for how we understand human-animal relationships today and in the past."